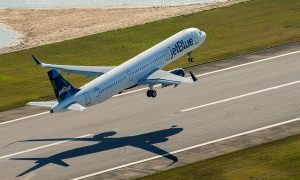 JetBlue today announced its intent to expand the airline’s successful service to Barbados by adding a daily roundtrip flight between Fort Lauderdale International Airport (FLL) and Grantley Adams International Airport (BGI) in Barbados. The announcement was made by JetBlue’s President & CEO Robin Hayes at the Caribbean Tourism Organization State of the Industry Conference in Curacao. The new daily roundtrip service is set to begin in April 2016, subject to government approval, with seats going on sale in the coming weeks. JetBlue’s Fort Lauderdale-Hollywood focus city will become the third JetBlue city with non-stop flights to Barbados. Service from New York’s John F. Kennedy International Airport (JFK) launched in 2009 and service from Boston’s Logan International Airport (BOS) will begin this fall. Today’s announcement comes as JetBlue prepares to launch other new options for customers travelling to Barbados. New non-stop seasonal Saturday service between Boston and Barbados will begin November 7. On the same day, JetBlue will also launch seasonal Saturday Mint service between New York and Barbados. Additionally, seasonal Saturday Mint service between Boston and Barbados will begin in March 2016. JetBlue’s newest flights to Barbados are also a part of ongoing growth at Fort Lauderdale-Hollywood International Airport where it operates nearly 100 flights per day to more than 40 destinations. 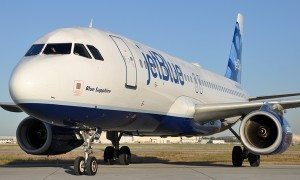 JetBlue is commencing service to 8 new destinations in 2015 from the South Florida focus city and has already announced three more that will begin in 2016. 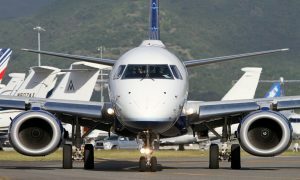 Barbados service from Fort Lauderdale-Hollywood will provide JetBlue customers with even more convenient connection options from destinations across the existing JetBlue network, including western U.S. destinations like Los Angeles, San Francisco and Las Vegas.